Got the blues? Can’t get a lick of work done because you’re unmotivated? Are your anxieties holding you back from reaching your full potential? Sometimes, it’s all in your mind. 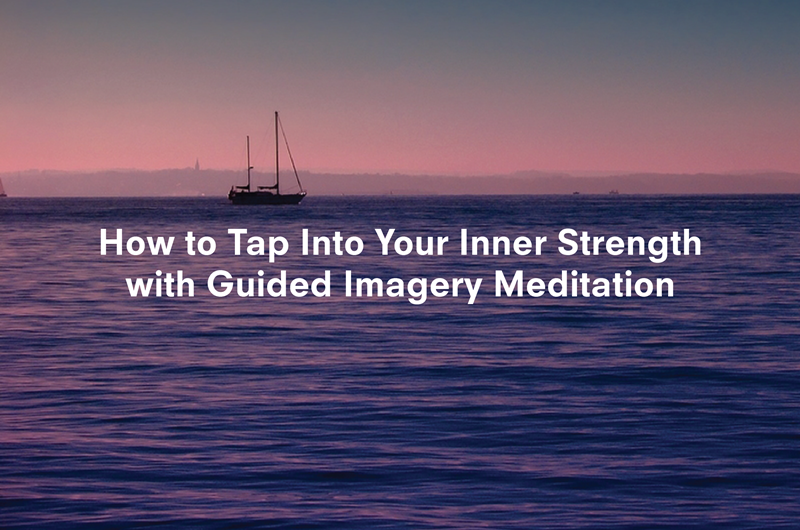 You can use guided imagery meditation to overcome the things that are weighing you down. Guided imagery meditation or guided visualization meditation entails the use of both visualization and guided images to help a person change negative thoughts into positive ones, reduce the symptoms of the condition he is dealing with, and aid in coping with these. Many consider this form of meditation as a kind of hypnosis wherein a person gets into a relaxed state in order to tap into his subconscious mind. However, this form of meditation is not just all about using visualization and/or imagination. Beyond that, guided visualization meditation can facilitate the formation of the connection between the visual cortex and the nervous system. Through this connection, you can take a step toward the changes that you desire. Although guided visualization meditation is similar to other forms of meditation, it differs because of the crucial role of the therapist who helps guide the images. How can guided visualization meditation help you combat depression, increase drive and inspire you? This form of meditation can help you focus keenly on the problem you are facing or the negative or faulty beliefs that are holding you back. It can even help ease some of the symptoms you are dealing with. The images used in this form of meditation can help you make positive changes while empowering your body to heal itself. Why should you consider guided visualization meditation over other forms of meditation? Guided imagery meditation offers a few advantages. For one, you are in control of the imagery that will be used. If you feel uncomfortable with the images or the process, you can stop or change the images. Most sessions last only a few minutes, which means you can fit these into your busy schedule. This type of meditation is fairly easy to learn. Once you have learned and mastered the techniques, you can utilize these for different challenges you face in your daily life. Finally, this form of meditation is versatile. You can use it to cope with the challenges you face in your daily life for physical and mental problems. By learning and mastering guided visualization meditation, you can reap several benefits. For starters, you can use this type of meditation to gain control of your emotions and moods. You can increase your self-confidence. In the face of temptations, whether you are trying to quit smoking or control your weight, your self-control will be enhanced. You can even use it to motivate yourself, whether you are a competitive athlete or you simply want to become more productive at work. By helping you see your emotions in a positive light, you can become more rational in your thinking and eliminate behaviors and thoughts which can be damaging to your sense of self. Physically, it can help in recovery and strengthening your body.